I started by going to an evening class – 15 years ago now. I didn’t last very long because after about week 4 we had to hand in homework and I never seemed to be able to complete it. But the year after that I tried again and this time I went to every class for a year, completed all the assignments and discovered that it was possible to start a story and get to the end of it. After that there was no stopping me. I didn’t see myself as writing a crime novel when I first started, The Other Mrs Walker. But at the same time I knew it had the hallmarks of a lot of crime fiction i.e. it starts with a dead body, it has a mystery to solve, it weaves in and out of crematoriums and mortuaries etc. I wanted to explore what happens when someone dies alone with no apparent next-of-kin. Then I got interested in the dead person and who they might have been. In the end I decided it was a sort of detective novel which is also a family mystery. I’m certainly drawn to what I call the ‘murderous’ side of family life – the dark places in the past where terrible things have happened. I really like that this too can fall under the all encompassing genre of ‘crime’. In terms of what I am writing at the moment I am very influenced by the brilliant Kate Atkinson. I’ve followed her career ever since, Behind the Scenes at the Museum and I delight in her Jackson Brodie novels which began with, Case Histories. She has this amazing lightness of touch, very accessible and stuffed full of wit, character and story. And yet at the same time she is super clever as a writer, on both a technical and a thematic level. I’m always amazed by the emotional weight that her stories carry. Yes! Don’t all writers (well 99.9%). Over ten years or so I was lucky enough to get a few small things published online and in various magazines (short stories etc) and every one mattered because it was a little beacon in amongst the mass of rejections. Then I wrote a novel which took me six years to complete. This did get some attention from agents and publishers and I really thought it was going to be picked up, but it wasn’t. So I did have a moment about four years ago when I had to decide if I was going to keep going or prioritise other things in my life. 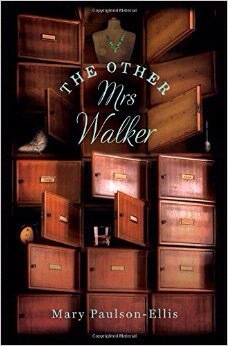 I decided to give up my job and write another book which became, The Other Mrs Walker. The rest is history. There is no real rhyme or reason to these things, just each writer’s individual journey. When I was writing the book, Clementine was my favourite character. She first appears in 1929 as a four year old and progresses from there into some very dark places where she does some very bad things. As a result, I really loved her! Then once I got to edit stage I became much more interested in Margaret Penny, my contemporary protagonist who is trying to work out the story of the dead woman with whom the book opens. But now I think I like Margaret’s mother, Barbara, best. She is an old curmudgeon who is either drinking rum or refusing to answer any questions. She is my tragic heroine. I did quite a lot of research into what I call the ‘territory of the dead’ i.e. the people and places in Edinburgh that deal with cases of individuals who die with no next-of-kin. 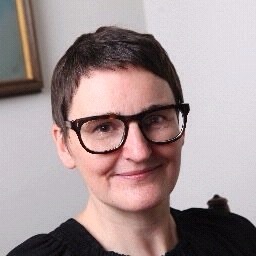 I thought I would begin with the person who forces the door after the call from the concerned neighbour, but in fact I began at the other end with a Humanist Celebrant who has conducted funerals for such individuals. I then moved on to the local authority crematorium where they arrange and pay for ‘indigent’ funerals and after that the Edinburgh City Mortuary, which was fascinating. I chatted to a forensic pathologist about the various stages of decomposition and met a Procurator Fiscal (Crown Official) who worked for the Fatalities Investigation Unit. Finally I interviewed a couple of police officers who were part of the Edinburgh Enquiry Team at that time – the unit that dealt with all non-suspicious deaths in the city. It’s been a fascinating journey. I have massive respect for all those for whom death is very much an everyday part of what they do. The rest of us don’t want to contemplate this too often, but it is going on all the time, all around us, day and night. I think it is wonderful that however we die, in whatever circumstances, somebody somewhere will take care of us with integrity and professionalism, even compassion. No, with one exception. There is a real life minister in Edinburgh who invites members of his congregation to attend funerals at which he isn’t certain any relatives or friends of the deceased will appear. I heard him speak on the radio about this when I was first writing the book and so I popped a minister into the book who runs an indigent funeral rota in Edinburgh. I met the person behind the fictional creation a few weeks ago when we appeared together on another radio show – a fascinating and insightful man. Other than that, I did try to realise the city of Edinburgh as a sort of ‘character’ in itself, based on my 25 years of living here. Also the house in London in which the Walker family grow up is based on one my mother lived in as a child in the 1940s and 50s and which I remember her talking about when I was young too. It starts with a dead body but no suspicious circumstances. It has a detective who isn’t really a detective at all. The scene of the ‘crime’ is an empty flat and the only evidence an emerald dress, an orange and a Brazil nut with the Ten Commandments etched in its shell. The real crimes lie in the past, but nobody is punished for them, at least not in the conventional way. What matters is how the deeds (and objects) of the past ripple through into the present whether you understand their significance or not. Not particularly, but then perhaps you’re asking the wrong person. Sometimes it is easier for others to identify where the autobiographical elements creep in! There is a degree of wish fulfillment in some of my characters, however, in that I sometimes wish I could behave as badly in real life as I have them behave in the fictional world. The Other Mrs Walker is all about women and girls. The book I’m working on at the moment is all about men and boys. It too has a narrative set in Edinburgh that also dips into the past. I see it as a companion piece to the current book. 11. In the Other Mrs Walker do you have a favourite scene that you wrote and why? I loved writing the scenes set in the past which revolve around the house in London. I had a great time conjuring all its different incarnations, from the shelter dug into the lawn in 1944 to the Home for Troublesome Girls in the 1960s. I also liked writing the scene of Margaret at the city mortuary because I found it such an evocative place when I went to visit. But I think my favourite scene to write was the one set in London in 1933 when 8 year old Clementine lays out a little picnic for her twin brother and sister beneath the laburnum tree. It has a sort of Grimm’s fairy tale quality for me and if you read it you’ll understand why. Return over and over to those writers who inspire you to see how they do it. But also be confident in your own distinct vision and ideas. Also, never give up and don’t take rejection personally; none of us know what might happen in the future. It only takes one person in the right place at the right time to believe in your book for all sorts of things to happen. And, good luck!